Items from the Estacada Grade School lunch menu included split pea soup, pizza and spaghetti. The Estacada Campfire Girls were celebrating their organization's 59th anniversary. The program had offered "many years of fun along with learning experiences" and would host "special activities to celebrate the 59th anniversary of Camp Fire." The Shingle Mill Tavern featured live music from the Muddy Bottom Boys, and the Spar Tree featured live music from Back to Reality, described as "a versatile group from Western to Disco." n The newspaper offered this thought: Anyone who thinks Christmas doesn't last all year doesn't have any credit cards. 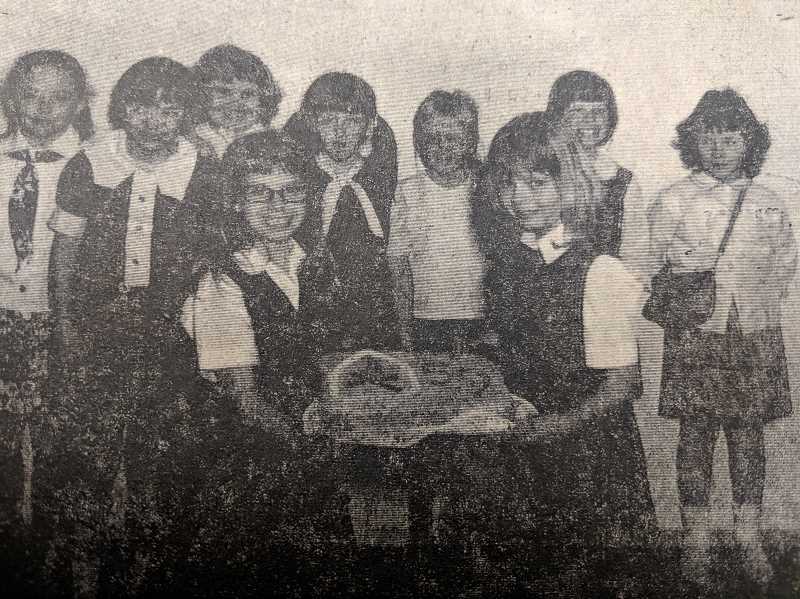 Classified advertisements from 30 years ago included a lost dog found in downtown Estacada, a meeting of a local 4-H club and a note from the family of Helen Woltring encouraging friends to visit her during her illness. "If interested, please contact her daughter Diana," the advertisement read. The Estacada Grade School was hosting a movie night. Admission was $1 per person, and hot dogs, popcorn, candy and soda would be available for purchase. "It will be a family movie suitable for all ages. Come out and enjoy the show," said Deanna Marcus, a member of the school's PTA. n At the Estacada Thriftway, New york Steak was $2.99 per pound, sirloin was $1.79 per pound and ground beef was $1.29 per pound. Events from the Around Town calendar included a 'Map Your Neighborhood' event with the Estacada Fire District, a quilting event at Wade Creek House Antiques and a kick off for the Relay for Life program. The recently-established Downtown Estacada Commission would focus on continuing to strengthen the city's core. The new commission would continue the work of what had been known as the Estacada Development Association. The group's members were Nancy Hoffman, Rob Gaskill, Lisa Lessard, Bruce Janes, Brenda Crosby, Paul Stobel, Connie Redmond and Masami Yamamoto.